Sustainable design is at the core of our practice. 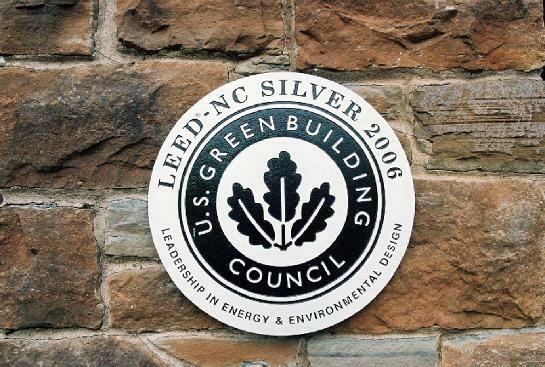 In 2006, as EwingCole's Cleveland office, our project team was awarded LEED Silver from the US Green Building Council for the first LEED Certified historic building in New York State: Hamilton’s Skenandoa House. We believe that preservation and sustainability are powerful allies. We follow the LEED protocol developed by the USGBC and the Guidelines for Historic Preservation issued by the US Secretary of the Interior. This is especially important for our clients who place a high value on both the stewardship of their historic structures, and the conservation associated with sustainable design. For real life applications of sustainable design, please see the following link to Hamilton College's Building Dashboard for the Kirner Johnson Building, which recently received LEED Gold Certification.